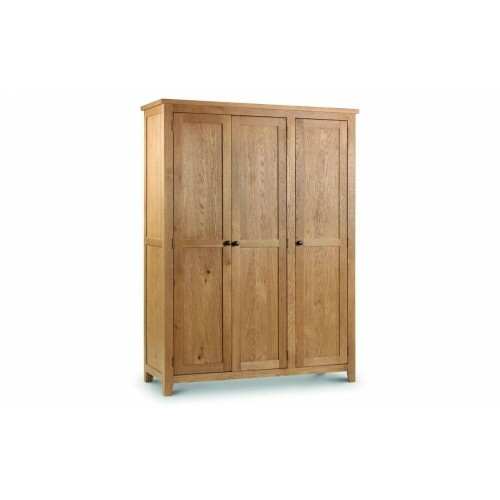 This solid American White Oak wardrobe, has amazing storage space so is perfect for storing essentials. 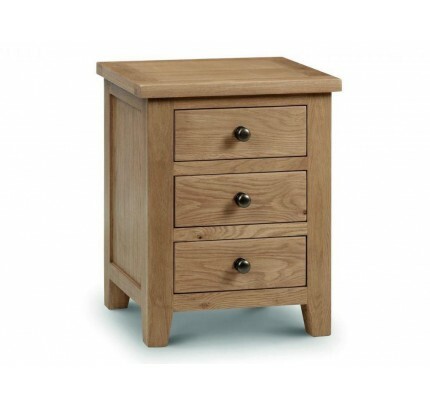 It has Oak Veneers adding to its beauty and a 30mm chunky top. 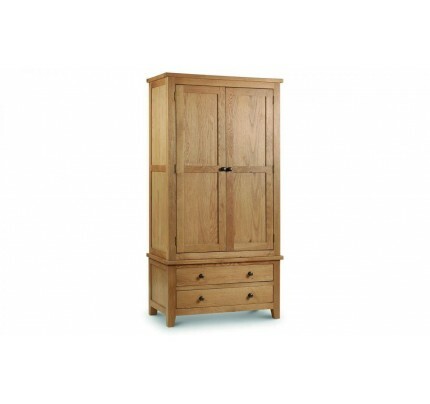 This magnificent wardrobe will enhance the beauty of any bedroom and is sure to attract attention from guests. 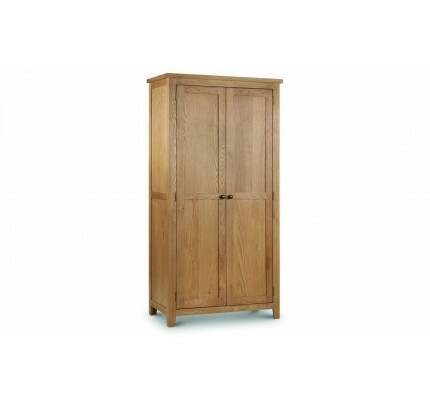 The wardrobe also includes 4 shelves within, making it both gorgeous and practical. 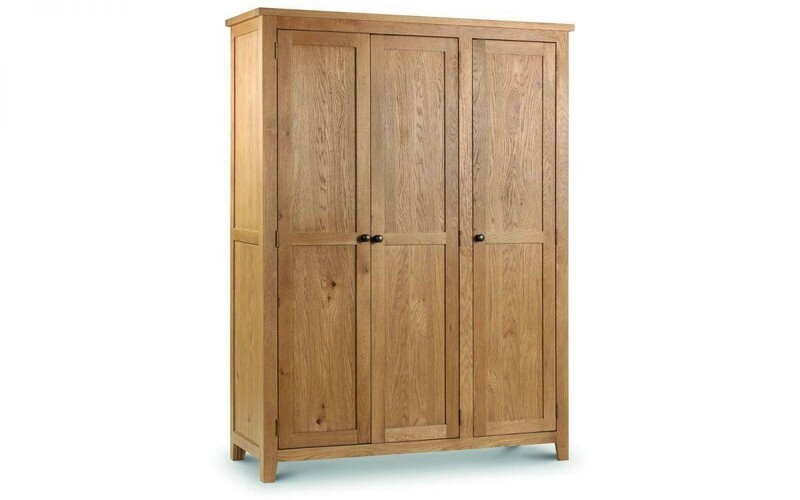 No bedroom is complete without this modern and sturdy wardrobe. 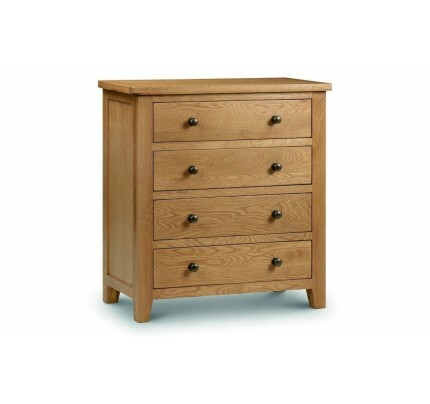 Available with a matching range of bedroom furniture. 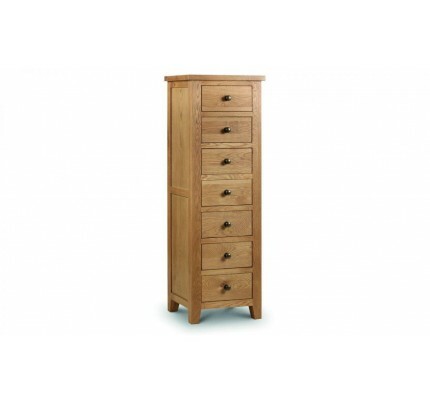 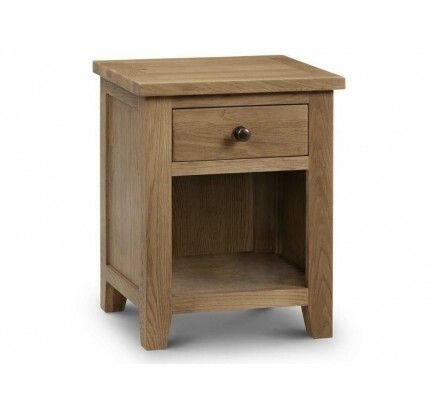 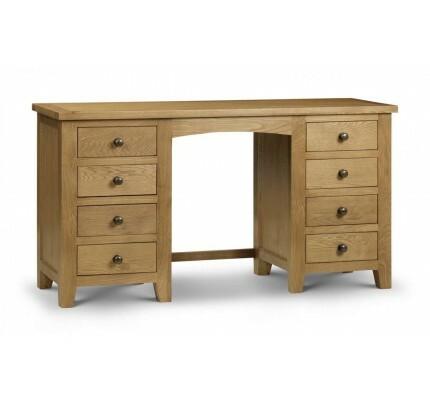 Products which are part of the renowned Julian Bowen Collection of furniture share excellent quality construction and excellent value for money. 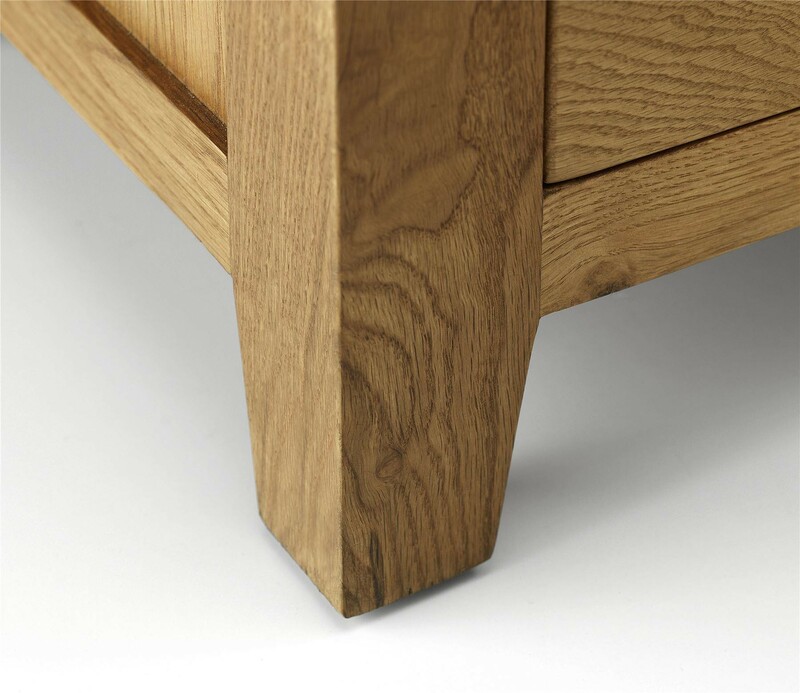 All products are supplied with a 12 month manufacturer guarantee. 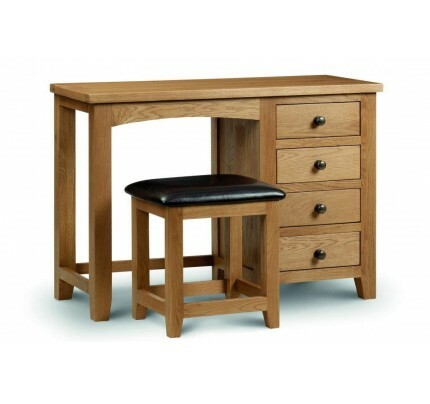 Beautifully constructed using the finest white oak and oak veneers, it will complement both traditional and contemporary d�cor. 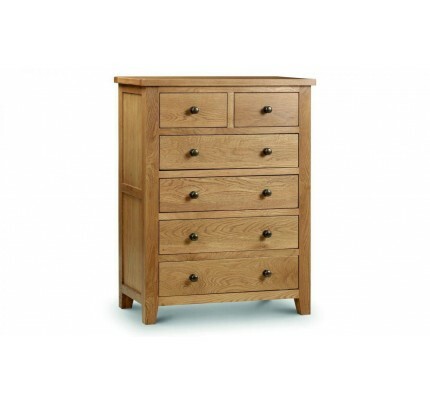 A Wide range of co-ordinating items are available in the Julian Bowen Marlborough range making it ideal for any bedroom. 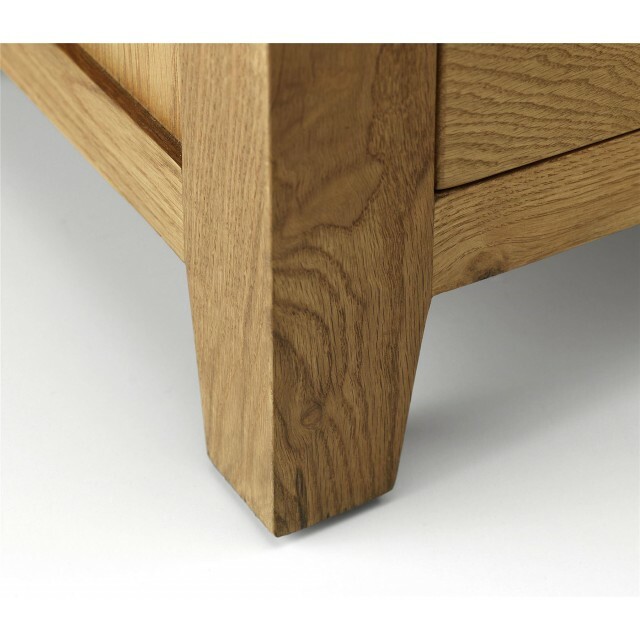 Shown with Julian Bowen Amsterdam oak Bed.